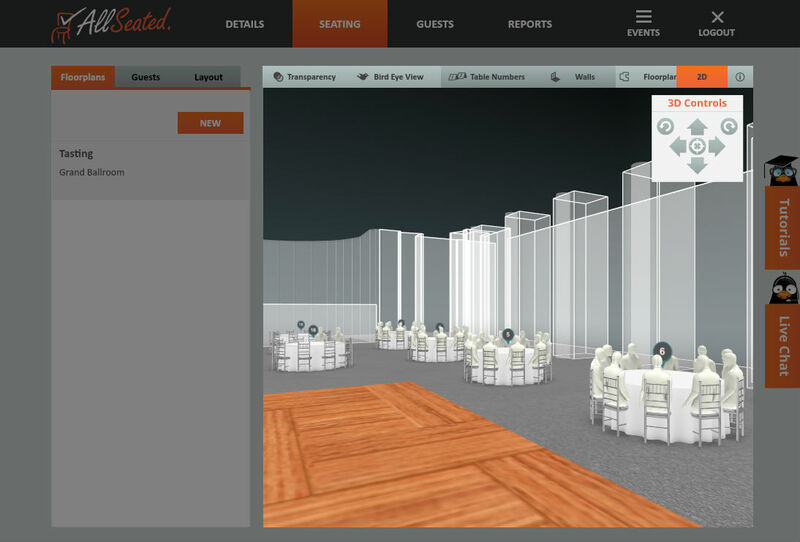 Easy Seating Charts in Stunning 3D! 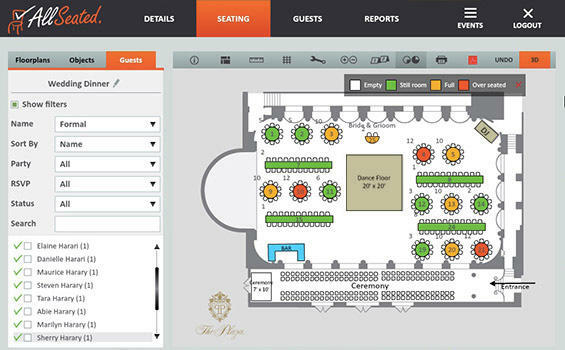 Manage your floor plans, seating charts, guest lists, and more! Online and in one place. For free! 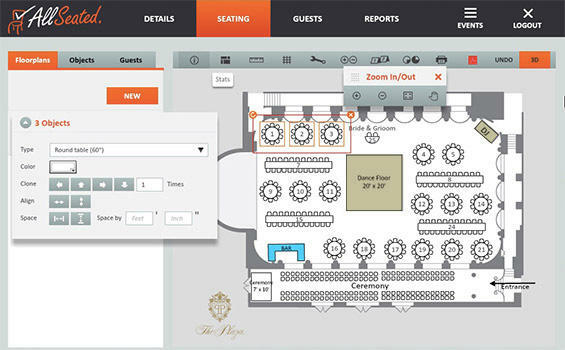 AllSeated uses a clever, easy CAD tool that updates in real time, with access via the cloud. No more revision after revision, faxing, or mistakes! AllSeated lets you build and save templates and reuse them. 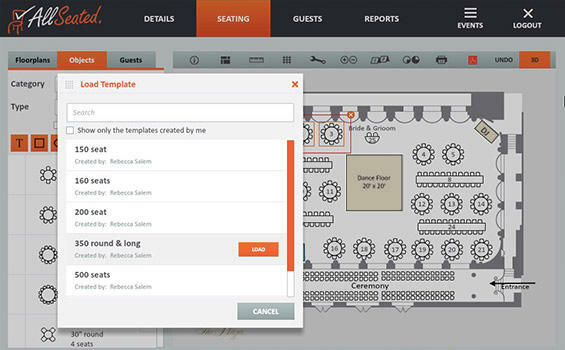 Save time by reusing plans by venue, occupancy, and more. Save as many templates as you need and cut your work time in half! Share the floor plan with your bride and give her a state of the art guest list. 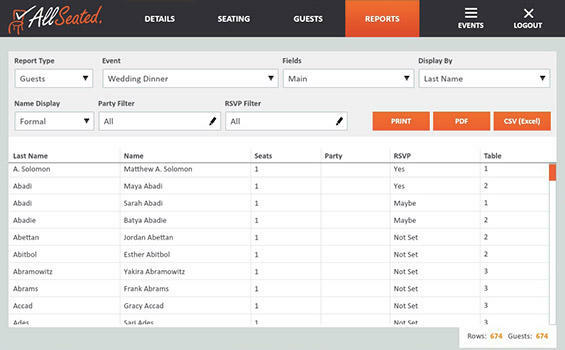 AllSeated’s guest list was built with thousands of brides’ input, so it’s super easy to use. She won’t know how to thank you – but just in case, she can do it via the message tool! 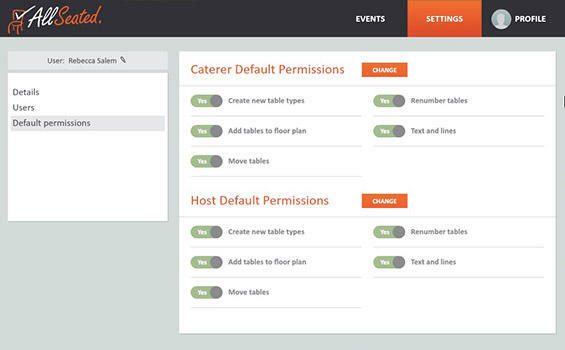 Each time you share floor plans with your bride, you have the option to set the permissions. You can send her a view only or let her renumber the tables as many times a she likes! 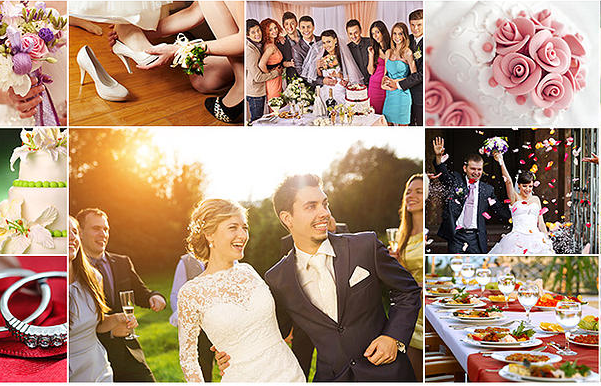 Give your brides access and let them seat their guests. Once you start filling up tables, our color-coded chart will keep track of it all with you watching everything on your end! Helpful reports show all the breakdowns of inventory requirements, guests, tables assignments, meal selections, and more. These can be printed off or shared with the people you’re collaborating with. When you’re done arranging the floor plan and seating the guests, take a quick stroll through the room virtually in gorgeous 3D. 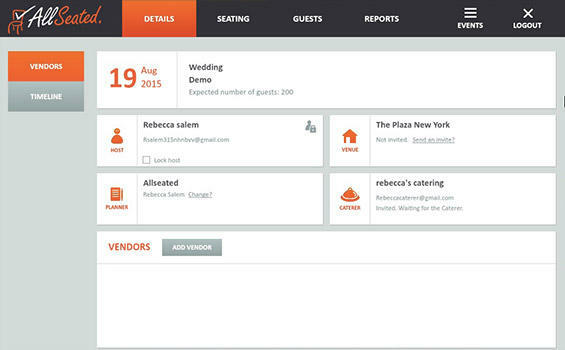 AllSeated takes care of all the details in planning events, and it’s totally free. But if you need a little more convincing, schedule a free tour of everything AllSeated has to offer.